MATRIC’s safety offerings are aimed toward identification, mitigation and reduction of risks created by hazard and operability shortcomings. In every instance MATRIC seeks to recommend actions that will reduce the likelihood and consequences of potential events such as injuries/fatalites in the plant or community, loss of production (plant outage), major equipment loss, or damage to the environment. MATRIC offers various safety analysis tools and has the expertise to recommend appropriate methods for specific problems. The intent is to control or prevent events that lead to any type of business liability and loss of production. This is accomplished by making operation or design recommendations based upon the true root cause(s) of observed or potential impacts. When necessary, MATRIC is prepared and qualified to assist clients with implementing needed changes that address risks found by a safety study or root cause analysis. Our capabilities will help an organization manage the risks associated with a variety of industrial and laboratory operations. Expertise within MATRIC also includes knowledge and application of generally accepted safety practices and criteria promulgated by the leading industry focus groups. Since its inception, MATRIC has been staffed with experienced safety, engineering, and research professionals who have helped develop programs and texts to satisfy the safety and risk analysis needs of manufacturers related to OSHA PSM, EPA RMP and other safety programs. Staff members have helped develop the “Guidelines” book series of The American Institute of Chemical Engineers Center For Chemical Process Safety. These books have become the textbooks of college safety curricula worldwide. 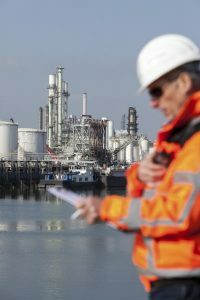 MATRIC has found that safety investigation techniques applied to chemical plant operations are also adaptable to many other manufacturing operations, including mining, timber, oil and gas, food, general manufacturing, aerospace, and transportation industries. Expertise within MATRIC also includes knowledge and application of generally accepted safety practices and criteria promulgated by specific industry focus groups such as The National Fire Protection Association, The Chlorine Institute, the Chemical Manufacturers Association, the Center for Chemical Process Safety, ASTM, AIChE, ASME, and governmental rule-making entities. MATRIC’s offerings are aimed toward identification and mitigation/reduction of risks created by hazard and operability shortcomings. In every instance MATRIC seeks to recommend potential risk reductions for hazard and operability issues, whether it is injury/fatality impacts in the plant or community, loss of production (plant outage), major equipment loss, or damage to the environment. Risks all have the potential to cost your business money and can result in crippling outages or loss, adverse publicity, and the potential for acute injuries during times that plant production is needed to meet sales and operating demands. By employing tried-and-true hazard identification methods and risk quantification technologies, MATRIC can assist your in-house risk/loss control efforts by offering a fresh and multi-disciplined examination of the processes and operations that affect your profitability. MATRIC can also investigate accidents, determine the root causes, and recommend fixes. WICL, What-If/Checklist Analysis. Stepwise questioning by a team of experts about every facet of the process. The work process is structured, but the questions originate from the cumulative expertise of the team. FMEA, Failure Modes and Effects Analysis. Line by line failure mode analysis of a system or item of equipment; a deductive logic process. HAZOP, Hazard and Operability Analysis. Guideword failure analysis for processes, systems or equipment. Rigorous and can be time consuming. MATRIC has the expertise to use these tools to either perform your risk analysis or to lead your staff in an appropriate risk analysis. In addition, MATRIC can educate your staff to conduct objective examinations of your processes and operations, either through the MATRIC Safety Training Institute or by carrying out a study in partnership with your staff. MATRIC has developed and used a formal accident investigation protocol. The full protocol is available to our clients in an investigation. MATRIC Safety Engineering Services areas of expertise focus on but are not limited to the following operations processing and design areas. MATRIC offers a full suite of safety services, including reviews, analyses, accident/incident investigation, program and plan development, modeling, audits, and training. These capabilities will help an organization reduce the risks associated with a variety of industrial and laboratory operations.